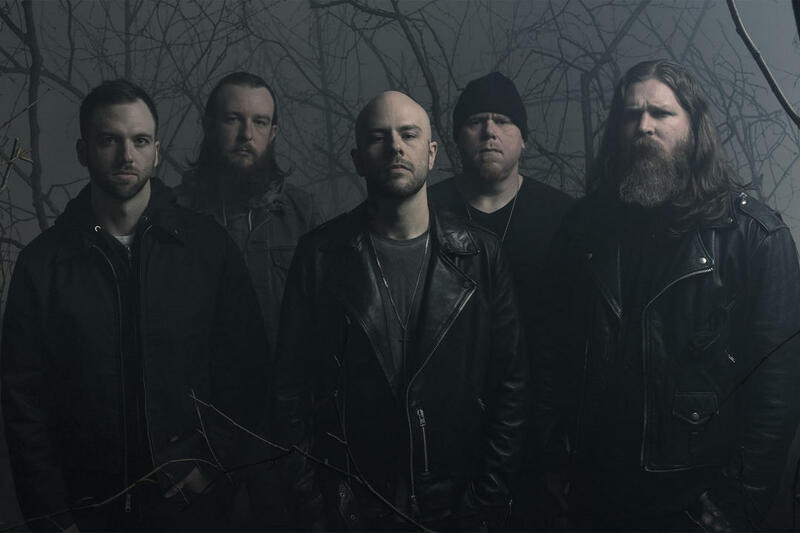 Demon Hunter’s latest album is Outlive. Frontman Ryan Clark fills us in on the new record, expectations, touring, the power of music to bring people together and other topics. Chad Bowar: There was a little more time than usual between albums. Was there anything in particular that led to this time frame? Ryan Clark: There were quite a few factors that impacted the span between Extremist and Outlive. A few of us moved or changed jobs, but most notably we welcomed a whole lot of kids into the mix. Just prior to Extremist, none of us had any children. Before this album is released, there will be seven kids among the five of us. As the majority of us ventured into first-time parenthood, we needed a bit more time to finesse our collective schedules. Eight albums in, is the songwriting process easier now because you’re experienced, or more difficult because you have to avoid repeating what you’ve already done? I think it’s maybe a bit of both. On one hand, I’m very comfortable writing Demon Hunter material. It’s almost second nature to me on a certain level… and the fun part comes with how much to expand that creative space. On the other hand, having recorded around 100 songs does pose some interesting challenges with regards to redundancy. One positive aspect of the time that spanned between records was acquiring new life experiences. Recording back to back to back can be limiting in terms of subject matter. No one wants to hear 10 songs about tour life. For myself, impending fatherhood gave me plenty to consider, both in my own life, as well as the world at large. You’ve worked with producer Aaron Sprinkle on every studio album. What does he bring to the process that has kept the collaboration going for so long? Aaron’s role on Outlive was a bit different than what we’ve done in the past. He produced and engineered the first 6 albums from top to bottom. On Extremist, he recorded vocals and did all of the post-production work. On Outlive, he just helped us with pre and post-production on the vocals only, but Jeremiah recorded everything. For the first time ever, we as a band handled all of the things that we consider “post-production” on the music itself. Those things would be keyboards, samples, etc… the little details that add a deeper dynamic to the songs. On previous albums, those were the pieces where Aaron really added his signature. Truthfully, I’ve learned so much from him over the years that I feel like I now subconsciously tap into his ethos when writing and recording. There are all kinds of little tricks that he taught us that we can at least attempt to do on our own. Of course that’s not to say that we did exactly what he would have done, but it was fun to think through all of those elements for the first time ever as a band. Since I was really only present for the vocal portions, those will definitely be the most memorable for me. For the first time ever, we recorded vocals in my house, just outside of Seattle. The ability to do that at home was a nice change of pace. Jeremiah flew from Nashville with his rig, we set up a makeshift vocal room, and spent about 10 days tracking. It was quite a bit different than how we’ve done it in the past, but being that it was just the two of us, it was a very comfortable environment. What led you to start a crowdfunding campaign for the album, and were you satisfied with the result? After Extremist, we were out of our record deal with Solid State. We’ve since re-signed with the label, but our time as “free men” allowed us to try something unique for this album. The crowdfunding model is a really great way to anticipate interest with actual numbers. We knew the various things we wanted to offer, and crowdfunding allowed us to be very strategic with quantities. In the past, it was impossible to know how many people would be interested in a CD vs. vinyl, etc. You would ultimately be forced to overproduce product. The beauty of crowdfunding is that you know exactly how much to make. It’s definitely a labor of love. We’ve always had a DIY mentality, but fulfilling a crowdfunding campaign tests your limitations. I’m very hands-on, especially as the guy that designs everything for the band… so I spent a great deal of time not only designing the pieces, but sourcing and quoting product, orchestrating shipments, etc. In the end it was an incredibly rewarding experience, but it was definitely stressful at times. The promotional process now begins months before an album release with releases of multiple singles and videos. Do you like doing it that way, or do you prefer the old school way when maybe one single/video would be available before release? I don’t know if I have a preference, really. Since there is usually a lot of time between the completion of an album and the actual release date, it is nice to fill some of that space leading up to it. Getting everyone together is a bit of an ordeal for us, so we like to tackle photos, videos, etc way ahead of time; and it can be a little rough sitting on a music video for 6 months before releasing it.It does feel like we finished this album a lifetime ago, so it will be a relief when it’s finally out there. Your last album cracked the top 20 of the Billboard 200. Do you feel pressure to top that this time around? I try to be realistic about it all – the state of the industry, the various factors that come to play, but I’d be lying if I said it didn’t matter to me at all. Not that I think Outlive needs to necessarily compete with Extremist in that way, nor do I feel Billboard (or Soundscan for that matter) is the ultimate touchstone for our existence as a band; but it’s a nice–albeit a fairly surface-level indication–of whether or not people feel inclined to buy our music. So far, Chicago Open Air is the only date on your live calendar. What do you have planned for touring this year? We’ve since added a couple other one-off dates. I’m sure there will be at least a few more, but we’re still working on it. As you get older and have more family responsibilities, does that change how you approach touring in terms of going out for shorter periods of time, etc.? Right now we’re just going with the flow, figuring out exactly how much and how often we’ll be playing live. Ultimately it’s just a timing issue. We’re all juggling a lot individually, so it makes scheduling longer runs very difficult. That’s not to say it’s out of the question entirely, but as we venture into this new chapter of life, we’ll just have to see what works and what doesn’t. It’s been several years since you’ve done a standalone live album/DVD. Do you have plans to do another one? 45 Days was a once-in-a-lifetime sort of thing for us, but we’re always coming up with concepts like this for the future. I think some kind of long form video is likely to come about, but it would be much different than the documentary. We do include DVD features with each of our deluxe edition box sets, and the feature that accompanies Outlive is the best short form piece we’ve done. It’s a much deeper, more personal insight into our individual lives. I’m really excited for people to see it. Our country seems more divided now than it has in generations. What’s music’s role to help in bridging that divide? Music is a powerful force. It’s clear to me now more than ever that the cultures created by music scenes influence lifestyles in a very profound way. With our parents’ generation, it seemed more niche; music of course had an impact, but its influence wasn’t so glaringly obvious. Now we see music’s impact in nearly every aspect of our identities. It shapes how we dress, how we talk, who we associate with, our political and social views, etc. The global impact of music and the cultures born from within it are becoming ingrained in us. With that said, I believe musicians have a huge opportunity–if not an obligation–to create a positive influence. With the over-saturation and availability of music today, those who choose to truly stand for something will stand out from the rest. The older I get, the less time I have for neutral artists with no conviction. I’m drawn to music that has something to say. Even if it’s a viewpoint I disagree with, I can appreciate when a musician stands for something. Truthfully, I don’t listen to a ton of heavy music these days, but a couple albums that have stoked me out lately are Gojira – Magma, In Flames – Battles and Deftones – Gore.